Calling all Portland makers and craftspeople! 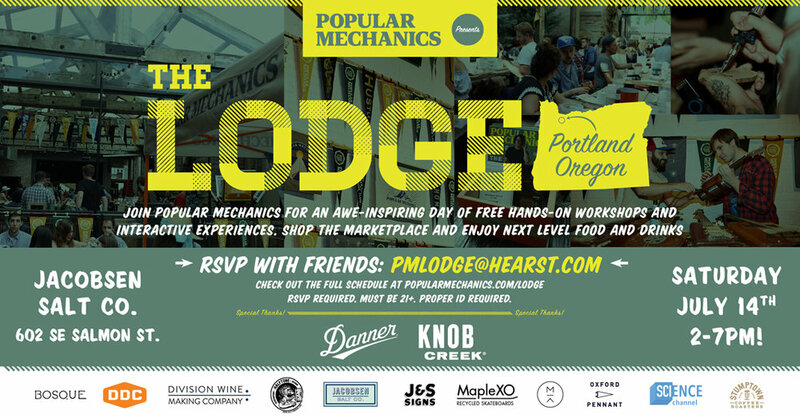 Join us and Popular Mechanics for an all day party of hands-on workshops, interactive experiences and local marketplace shopping. We'll be there sharing our boot making process and creating leather goods with scraps from our factory. The event is free and open to the public who are 21+ with valid ID, so RSVP with friends at PMLodge@Hearst.com.